And I want to take you along on this Igbo language learning journey with me! 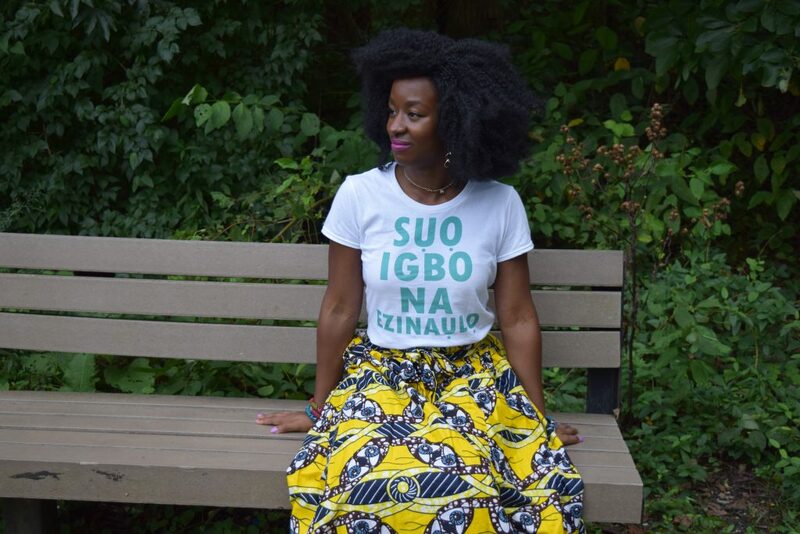 Ezinaulo Igbo Language Services LLC is an Igbo language support business created just for busy young professionals like you and me who desire to become fluent in Igbo some day and speak it with our families. But we all know some day isn’t just going to happen without any action. And that’s where Ezinaulo.com comes in! Ezinaulo.com offers Igbo lessons for beginners who want to get started in learning Igbo in an organized and easy to digest way with no distractions! Read my blog posts where I will be documenting online the ups and downs of my path to becoming fluent in Igbo. And do you ever feel like giving up on your dreams of being fluent in Igbo and talking to your family members without using any English? Or do you ever feel like you are too busy with work or school to learn Igbo right now? Well, I don’t want you to feel this way anymore. 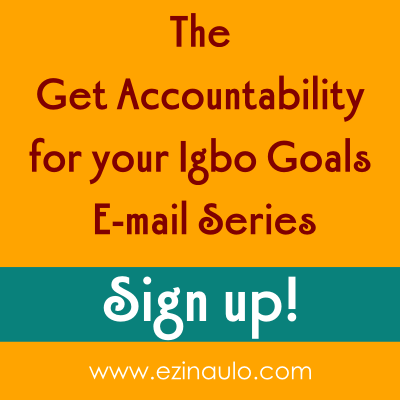 Sign up for my Igbo Accountability Email Series, biko. 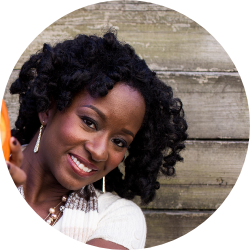 With my Igbo Accountability Email Series, I’ll be in your email inbox monthly sending you emails encouraging you to keep striving toward your Igbo language goals! Nwanne, you got this! How can I help you with your Igbo? Ife, you are not fluent in Igbo yet …how can you help me learn Igbo? Yes, I am still learning Igbo and working on becoming fluent. Heck, you may even know more Igbo than me. But that’s okay. I still have a lot to offer you. Me wearing a shirt from my “Ndi Be” shirt collection that says “Suo Igbo na ezinaulo” 😉 Click the pic to grab your own tee! And if you’re a beginner Igbo language learner like me, this is very valuable. Most native Igbo speakers grew up in Igboland and don’t know what it’s like to learn Igbo as a second language or learn it outside of Nigeria. But I know what it’s like. And I find some native Igbo tutors to be a bit intimidating…especially when it comes to making mistakes. They can be critical about our tones and pronunciation in particular which I know discourages many of us from even trying to speak Igbo sometimes. I’m pro mistakes. I make mistakes all the time as you will see on my site. But I’m a believer that making mistakes is the only way I will become fluent in Igbo. You can make mistakes all you want around me. We will learn from our mistakes together! I live in the US. My American accent is strong. And I’m trying to learn Igbo at 30 years old. People laugh at me all the time when I speak Igbo. And tell me there’s no way I can learn Igbo without living in Igboland or as an adult (aka I’m too old to learn). It hurts a bit I’ll admit. And I know you may have similar experiences. But that’s why I’m here. When people laugh at you for speaking Igbo or tell you can’t learn it for whatever reason, I want for you to have a positive space where you can come to stay motivated with becoming fluent in Igbo. I got your back nwanne! I have a full-time career working 40 hours a week and I’m married to my wonderful husband. So I know what it feels like to be busy and feel like there is no time to learn Igbo. Or even worse…we may investment time and money into learning Igbo but never do anything about it! How many of us have purchased Igbo courses and stopped practicing our Igbo as soon as the class was over? Or bought books to learn Igbo and never finish reading the book? 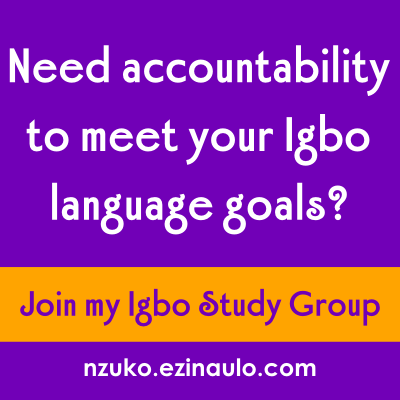 Follow me and I’ll help keep you accountable with the promise you made yourself and your family to learn Igbo! Plus, I’m going to learn more and more Igbo the more I study. So I’ll have so much more to offer you as time goes on! Basically, I’m here to support you with reaching your Igbo goals and dreams of having an Igbo speaking household! Join my email list to get my Igbo Kit so we can support one another with our Igbo language learning goals! We can do this! We can and will learn how to speak Igbo! (And so will our kids.) Just keep at it nwanne!